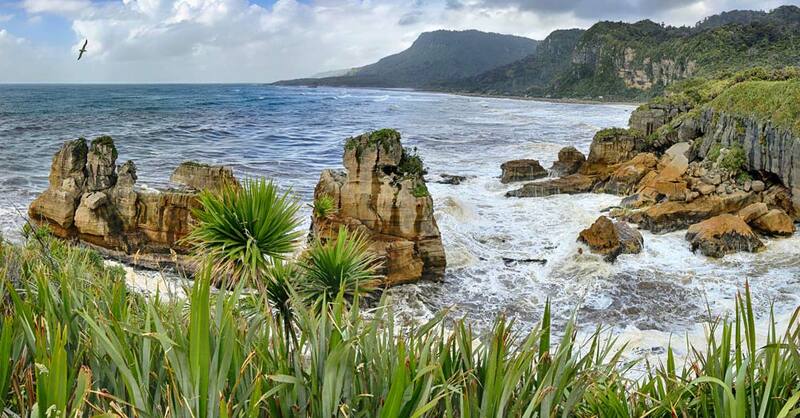 Journey to New Zealand’s South Island to uncover an incredible mix of natural landscapes and captivating surroundings. 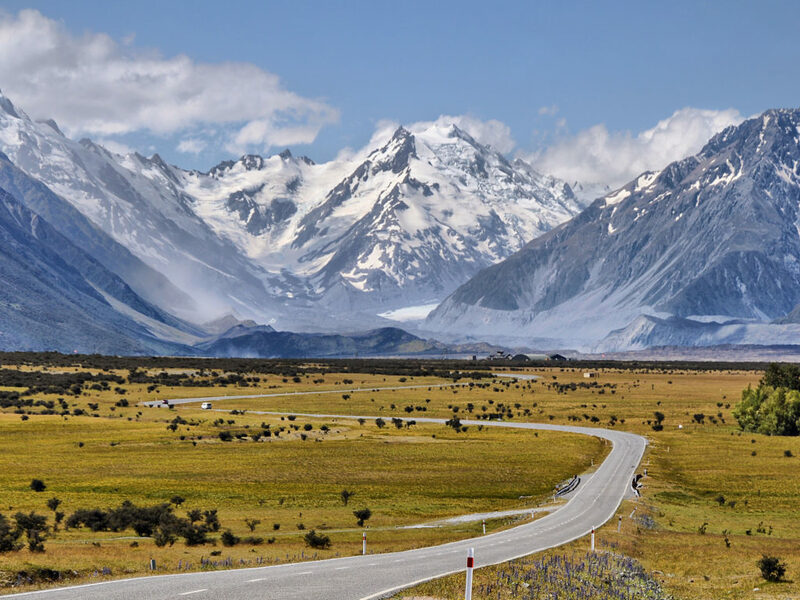 The South Island showcases it’s picturesque mountains, immense lakes, impressive glaciers, and rugged coastlines, all of which are easily accessible by road. No matter how you are travelling or what your interests, discovering these must-see locations will make for an unforgettable trip of a lifetime. Situated on the west coast of the South Island, Milford Sound is a spectacular manifestation of New Zealand’s natural beauty. 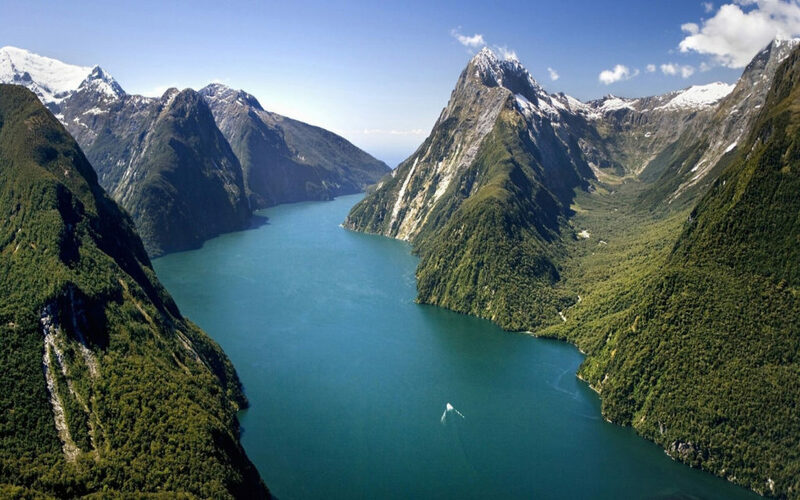 It’s stunning combination of mountain peaks, ink black water and plummeting waterfalls make it the most famous fiord in New Zealand. 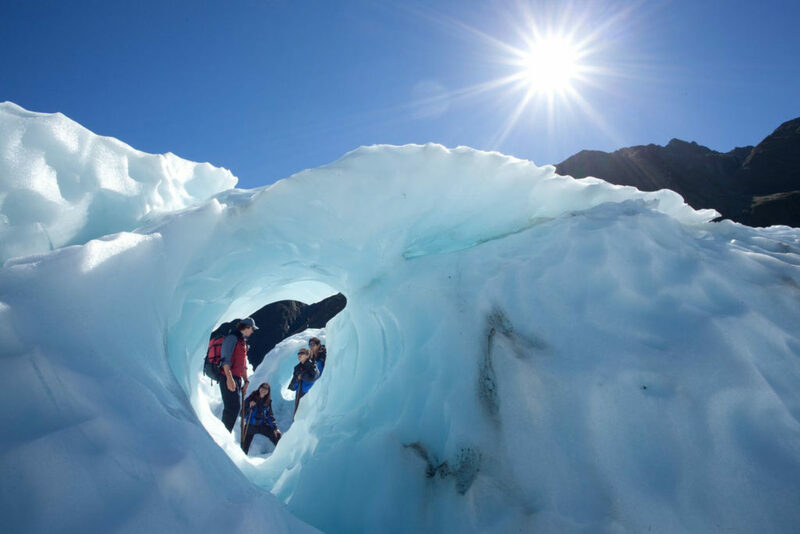 Discover the heart of New Zealand’s Glacier Country, with a visit to the renowned Franz Josef Glacier or Fox Glacier. Located in the spectacular World Heritage Area on the west coast of the South Island, the glaciers are not to be missed during your trip. The huge valleys of ice extend well below the ice to almost sea level, and temperate climates make them some of the most accessible hiking glaciers in the world. Mt Cook is the tallest mountain peak in New Zealand, at a height of 3,754 metres. 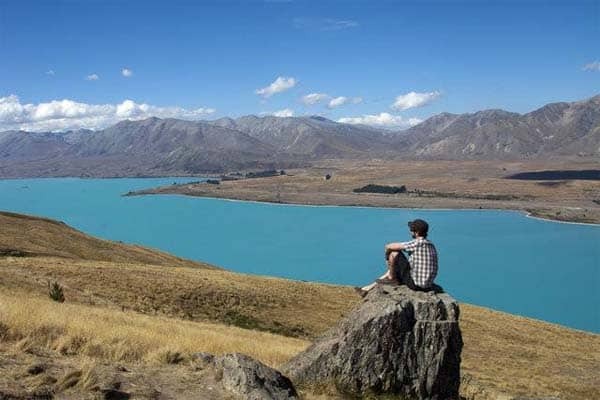 Nestled at the foot of the impressive mountain is the village of Mount Cook, a comfortable and welcoming town situated in the midst of the rugged surroundings. 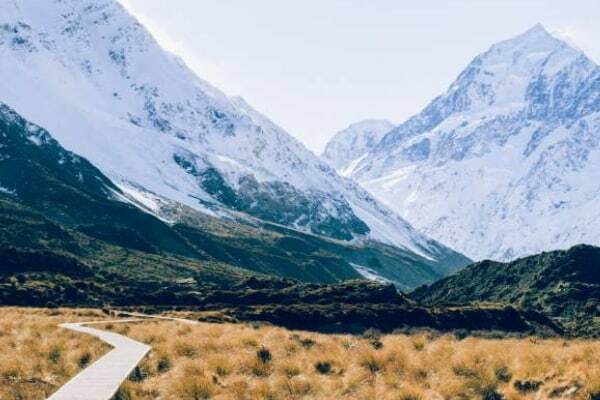 You don’t have to be a mountaineer to hike Mt Cook – there are plenty of easy to moderate paths to take that still offer amazing views. 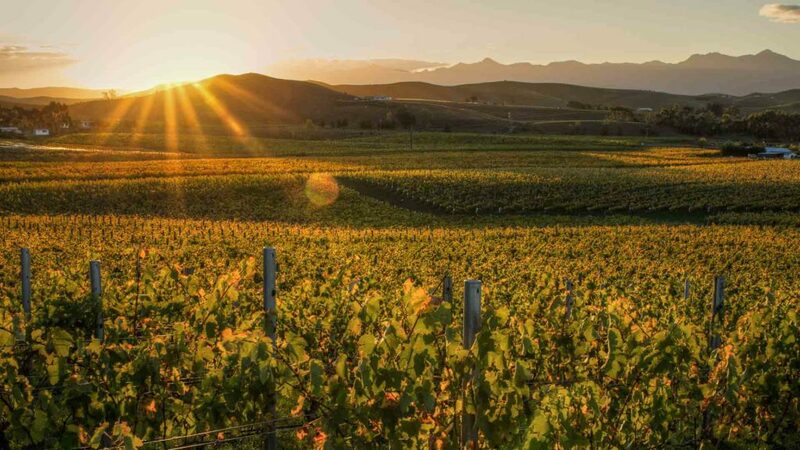 Situated in picturesque valley surroundings, New Zealand’s South Island encompasses many amazing wine regions that are not to be missed by wine-lovers. The areas of Central Otago, Canterbury, Nelson and the Waipara Valley are blessed with the perfect conditions to produce top quality red and white styles. 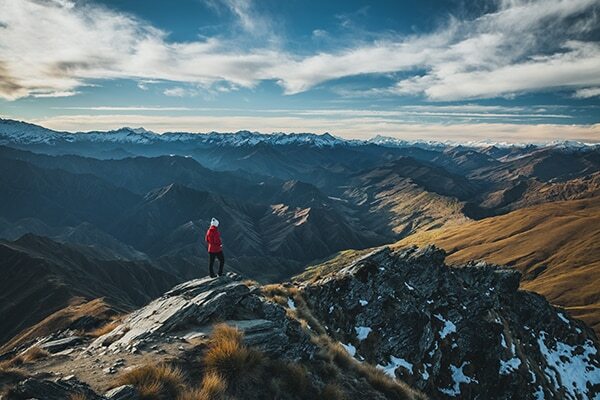 Queenstown is the adventure capital of New Zealand, and arguably the world! 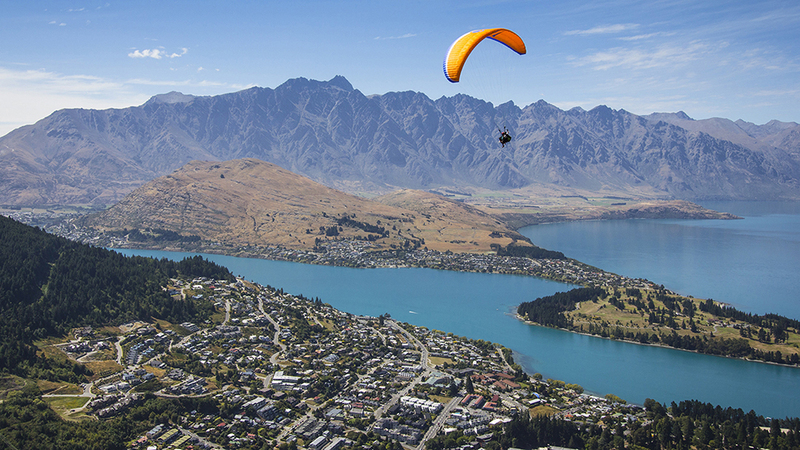 Located in the south-west of the island, Queenstown is a small town full of big thrills. Get your heart racing with activities such as jet boating, bungee jumping, canyon swinging, or skydiving! 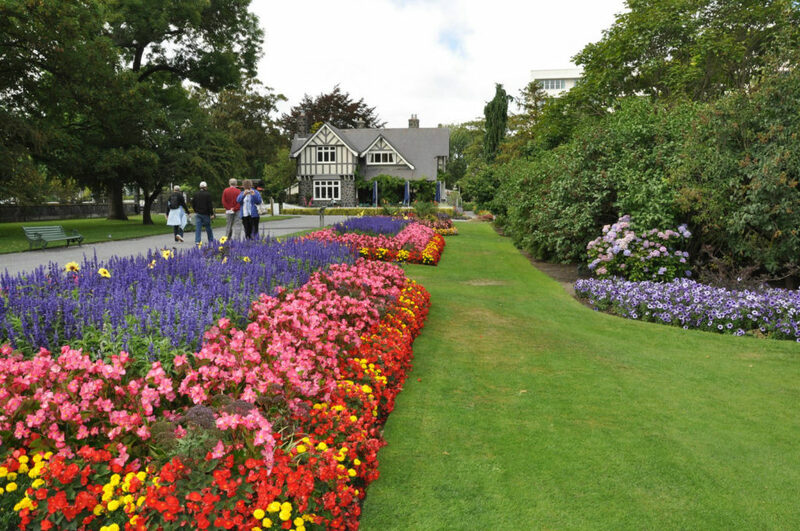 Located in the heart of the South Islands largest city Christchurch, the Botanic Gardens are a popular attraction for locals and visitors alike. The elegant 21-hectare park was founded in 1863 and today contains an impressive array of plant and flower collections. Lake Tepako is situated about three hours drive south-west of Christchurch in the Mackenzie Basin. The turquoise blue lake obtains its stunning colour from the fine rock flour suspended from the surrounding glaciers. Visit the region by day to awe the spectacular lake, and stop for the night in the UNESCO Dark Sky Reserve, perfect for stargazing. 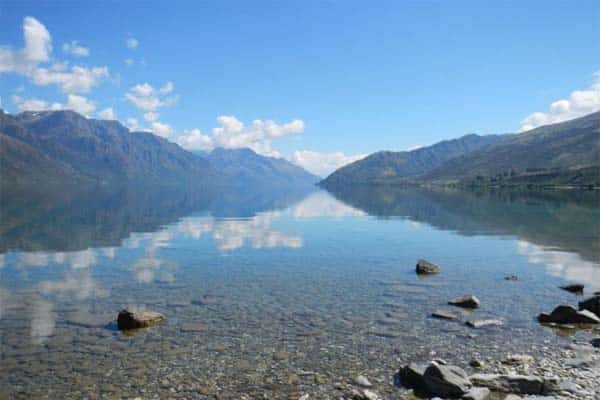 The South Island town of Wanaka appeals to lovers of adventure and is home to some of the best outdoor activities in New Zealand. During winter, skiers and snowboarders flock from around the world to the town to take on the slopes. 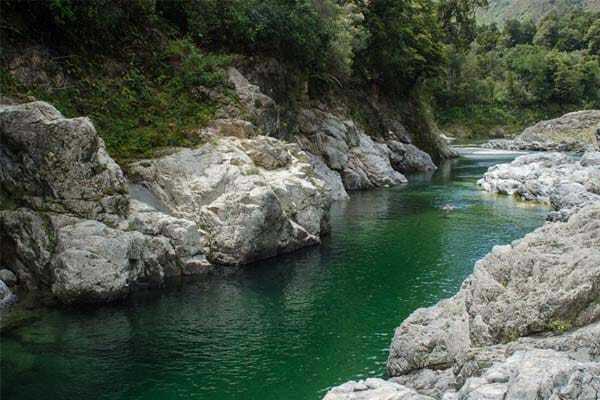 The town is also full of great summer activities such as fishing, hiking, and canyoning, and is also a great place to just kick back and relax. 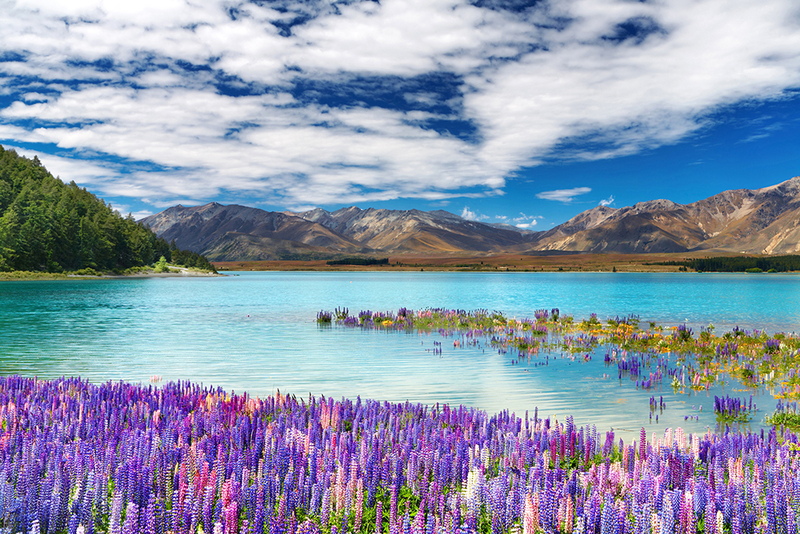 Find out more stunning South Island locations or get a quick quote on a campervan in New Zealand today! 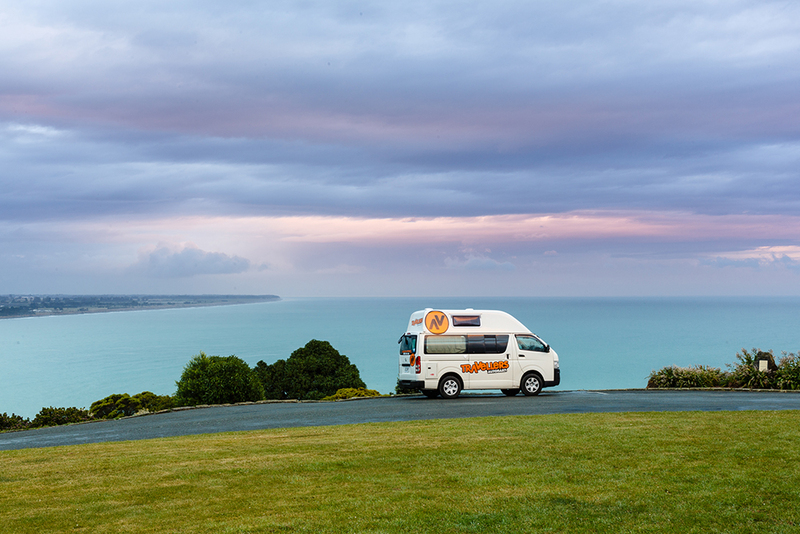 Hiring a campervan and hitting the road is hands down the best way to see New Zealand’s South Island. It offers you the ultimate freedom and flexibility to travel at your own pace and by your own rules. It also gives you the chance to camp for free, or ‘freedom camp’. This means sleeping under the stars and wake up with spectacular wilderness views! 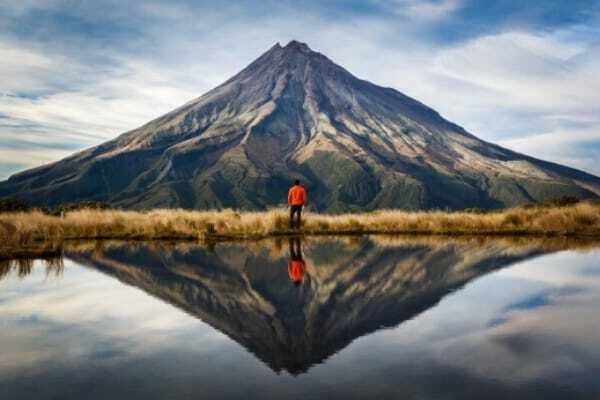 Here is our guide to freedom camping in the South Island, for the most epic and cost-effective adventure of your lifetime! Freedom camping is the practice of setting up a tent or parking your campervan in an area designated for camping for free. 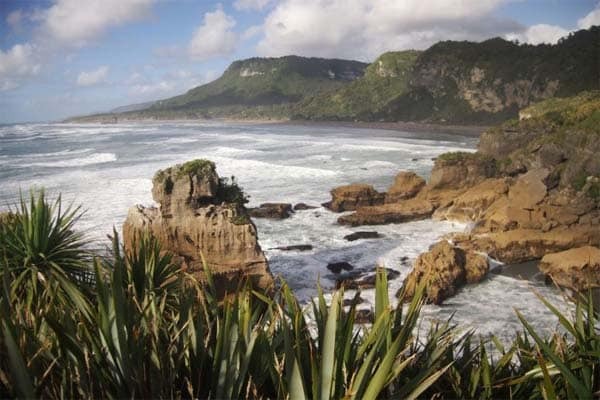 That’s right – there are plenty of places in New Zealand that let you sleep the night without costing a single cent! Rather than staying at a busy campground or caravan park, some prefer to venture into the wild and stay at more isolated locations. 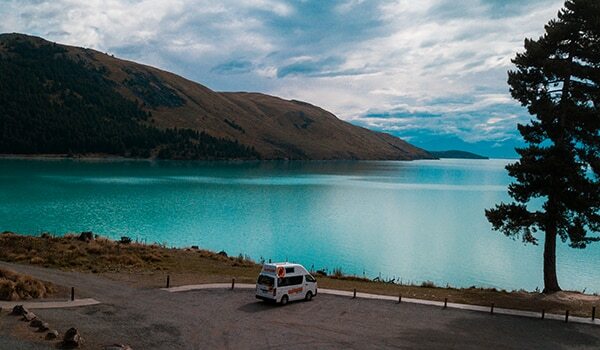 By freedom camping, you can stay in some of the most picturesque locations in the South Island and avoid the cost of park fees. However, it does come with its cons. 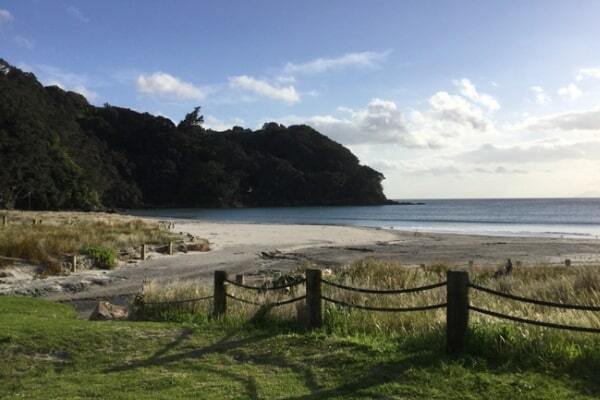 The popularity of freedom camping in New Zealand, and especially the South Island, has had an increasingly negative effect on the country’s clean environment due to litter and waste. There are typically no toilet, shower, or waste facilities when you’re in the middle of nowhere (as you would expect). This has resulted in strict laws being put in place to prevent how and where people freedom camp. 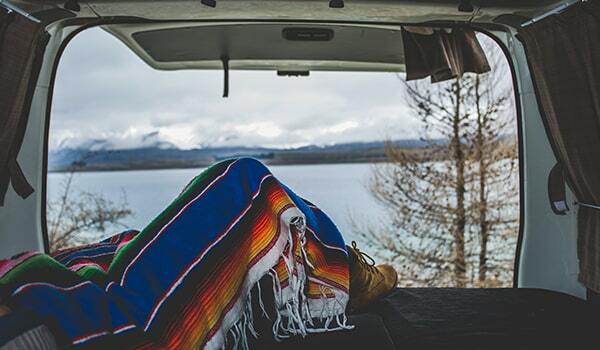 What are the rules of freedom camping? Always take garbage away with you until you find a proper place to dispose of it. Use proper toilet facilities or your onboard toilet at all times. Avoid lighting fires. If you do light a fire make sure you keep it small and douse it out with water before you leave. Always respect the environment and the locals. Leave no trace of your stay. Where can I freedom camp in the South Island? 1. 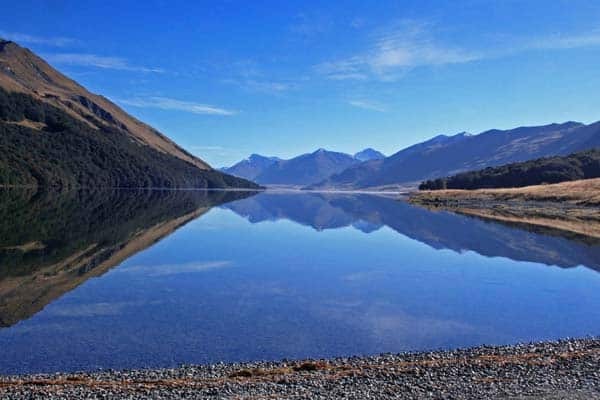 Greyneys – Located within the stunning Arthurs Pass National Park, this free campsite is perfect for travellers who want to enjoy the serenity of the outdoors. There are plenty of great hiking tracks around and it’s a great base to explore the century-old tracks in the national park. 2. 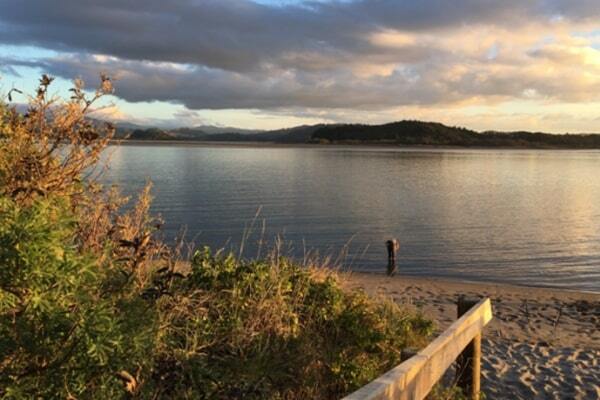 Robin Hood Bay – Camp next to the beach in the Marlborough Sounds region of the South Island. Go fishing, visit the nearby Magnet Bay beach for a surf, and look out for Hectors Dolphins in the stunning blue waters. 3. 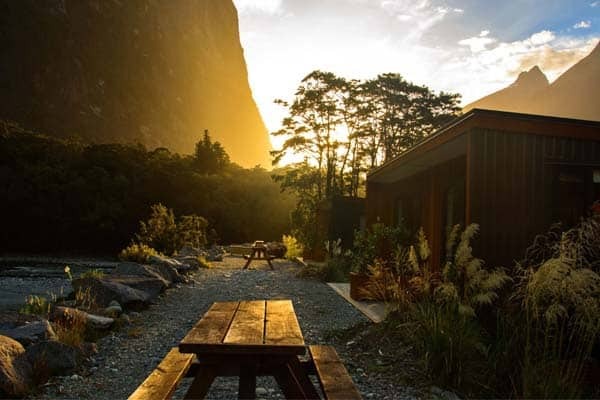 Thicket Burn – Located on the outskirts of Fiordland National Park, and just 5km’s from New Zealand’s deepest lake. There are toilets, picnic tables, and water available in an incredibly peaceful surrounding. 4. 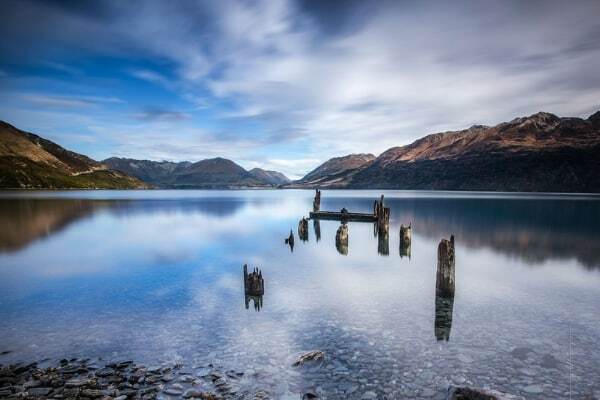 Queenstown-Glenorchy Road, Lake Face Creek – A great spot to stop for the night near the iconic town of Queenstown. Here, you can wake up to stunning views of the lake and mountains and nearby beautiful waterfalls. 5. 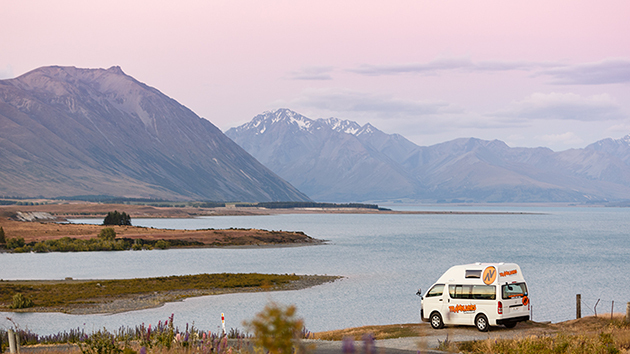 Lake Pukaki Campground – Located in the centre of the South Island, this is a must stop if you’re making the journey past. Located on the beautiful Lake Pukaki, you can wake up with a mountain backdrop of Mount Cook. There is a basic restroom here, but other than that, it’s all natural! Across New Zealand, you will find signs that indicate whether or not freedom camping is prohibited. Always respect these signs, there are plenty of amazing places you can freedom camp legally. 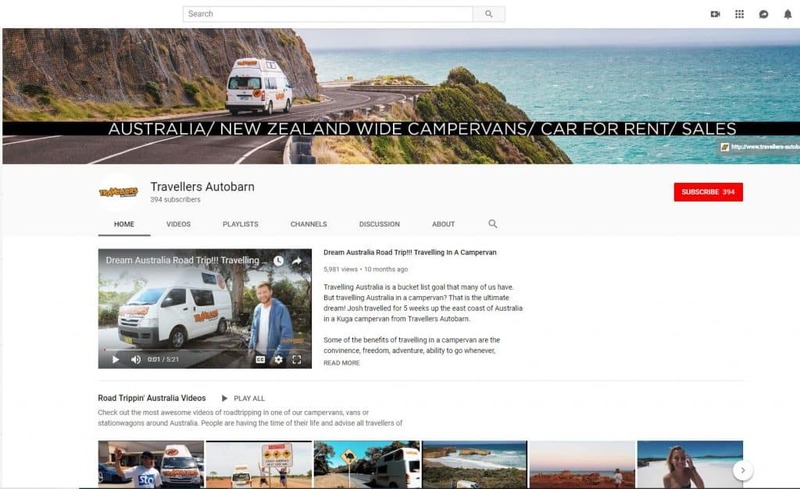 Most importantly, enjoy your campervan journey in one of the most naturally spectacular countries in the world.